The title links to the published version of the papers, when available, while [.pdf] links to the preprint version. All preprints are also available on the French archive HAL. 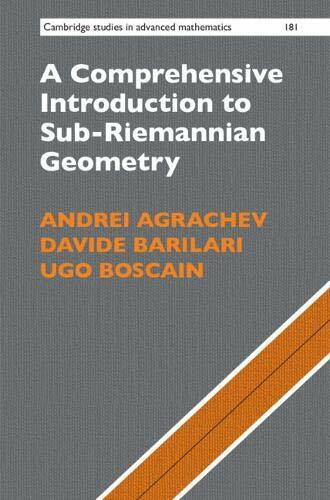 Introduction to geodesics in sub-Riemannian geometry (with A. Agrachev and U. Boscain), DOI 10.4171/163-1/1. On Jacobi fields and canonical connection in sub-Riemannian geometry (with L. Rizzi). Heat kernel asymptotics on SR manifolds with symmetries, applications to the bi-Heisenberg group (with U. Boscain, R.W. Neel). Curvature terms in small time heat kernel expansion for a model class of hypoelliptic Hörmander operators (with E. Paoli). Sharp measure contraction property for generalized H-type Carnot groups (with L. Rizzi). On the set of points of smoothness for the value function of affine optimal control problems (with F. Boarotto). Kolmogorov-Fokker-Planck operators in dimension two: heat kernel and curvature (with F. Boarotto). Volume geodesic distortion and Ricci curvature for Hamiltonian dynamics (with A. Agrachev, E. Paoli). Sub-Riemannian interpolation inequalities (with L. Rizzi). On the regularity of abnormal minimizers for rank 2 sub-Riemannian structures (with Y. Chitour, F. Jean, D. Prandi, M. Sigalotti). A Bonnet-Myers type theorem for quaternionic contact structures (with S. Ivanov). Volume of small balls and sub-Riemannian curvature in 3D contact manifolds. (with I. Beschastnyi, A. Lerario). "Dynamics, geometry and analysis on sub-Riemannian manifolds", Volume I. 332 pages. 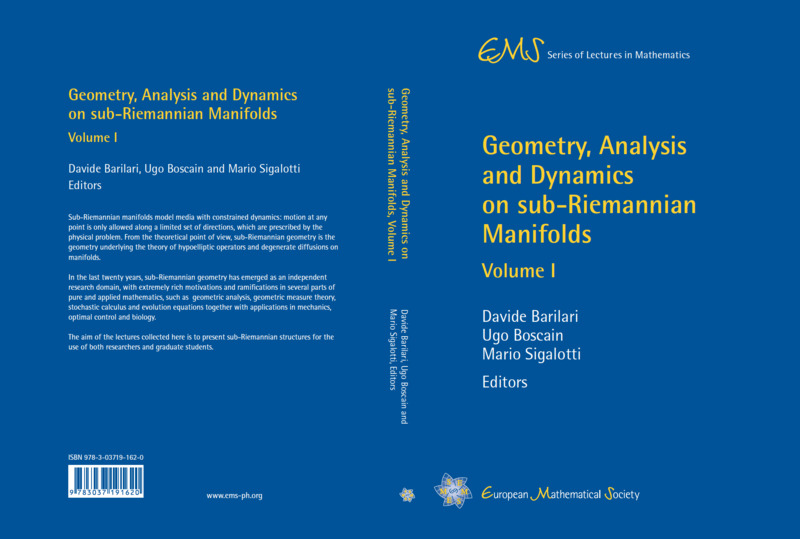 "Dynamics, geometry and analysis on sub-Riemannian manifolds", Volume II. 307 pages. [Ph.D. Thesis] Invariants, Volumes and Heat Kernels in sub-Riemannian geometry. Supervisor: Andrei Agrachev. SISSA, Trieste. Defended on 27/10/2011. [Master Thesis] Sub-Riemannian structures on three dimensional Lie groups. Supervisor: Andrei Agrachev. Università degli Studi di Trieste and SISSA.